VATICAN CITY (CNS) — All people have a right to freely profess their own religious beliefs without fear of duress, Pope Francis said, calling on the world community to do more to protect the Yezidi minority. “It is unacceptable that human beings are persecuted and killed because of their religion,” he told a group of Yezidis during a private audience at the Vatican Jan. 24. 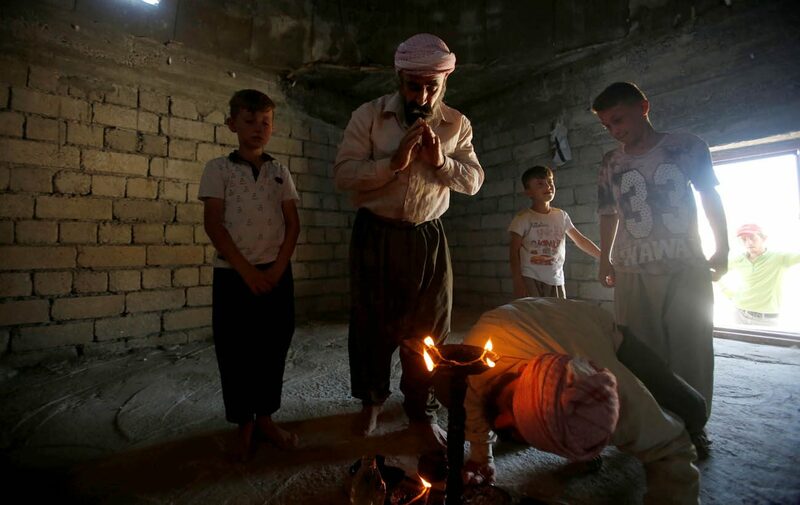 The Yezidis are a monotheistic religious minority, indigenous to areas in Iraq, Iran, Syria and Turkey. They have been especially persecuted by Islamic State militants, who, like Christians, have forced them to convert or be killed. He told the representatives, who were now living in Germany, that his encounter with them was also a sign of his solidarity and concern for all Yezidis, particularly those in Iraq and Syria. “Your sanctuaries and places of prayer have been destroyed,” he said, and those lucky enough to have been able to flee have had to leave behind so much, including that which they held to be most holy and dear. He encouraged organizations and “people of goodwill” to help rebuild homes and places of worship that have been destroyed and to seek out concrete ways to create the right conditions for people to return to their homelands. He also said he hoped everything possible would be done to help save those who were still in the hands of terrorists, locate those still missing and identify and properly bury those who have been murdered. All over the world, he said, there are religious and ethnic minorities — including Christians — who are persecuted because of their faith. “The Holy See will never tire of intervening by denouncing these situations, calling for the recognition, protection and respect” of minorities as well as calling for dialogue and reconciliation, he said. “Once more I speak out in favor of the rights of the Yezidis, above all their right to exist as a religious community. No one can allocate oneself the power to eliminate a religious group because it is not among those (who are) ‘tolerated,'” he said.